Anacharis is a submerged fast growing plant. Does well in sun or shade. Provides great habitat for small fry fish and other little critters to hide in your pond. Just drop in your pond and watch it grow. 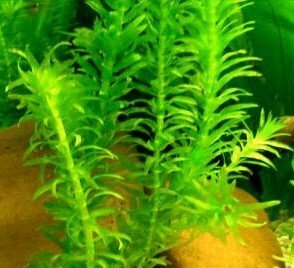 GREAT AQUARIUM PLANT - FISH LOVE IT!!! In the event that federal, state, local law requires, Seller may substitute this item for item of equal or greater value (item quantity may vary if substituted for item of greater value - Seller guarantees all substituted items shall equal and/or exceed value of ordered items).